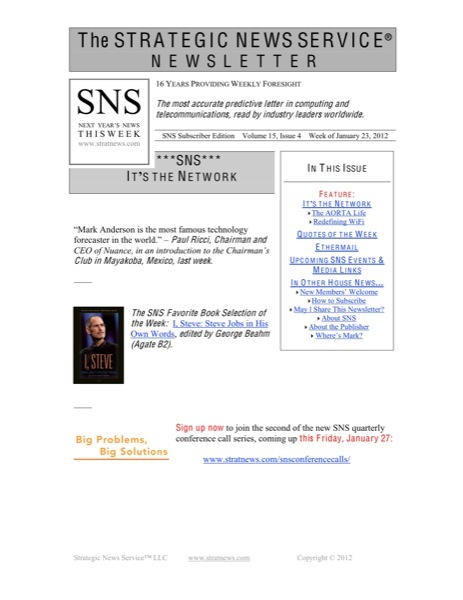 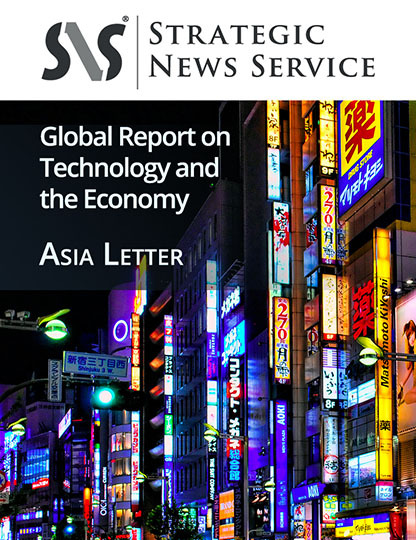 This week I am pleased to share a private transcript of my recent conference call with UBS and selected clients, in which we take a deeper dive into the SNS MALT (Micromapping, Advertising, Location and ID, and Transaction) technology vision / business opportunity set, and into the thinking around the SNS 2014 Predictions. 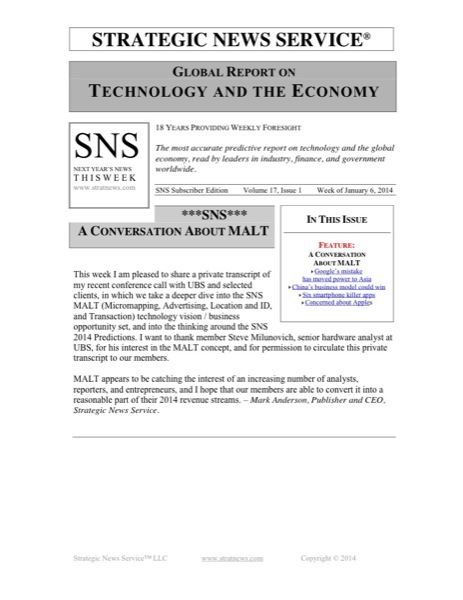 I want to thank member Steve Milunovich, senior hardware analyst at UBS, for his interest in the MALT concept, and for permission to circulate this private transcript to our members. 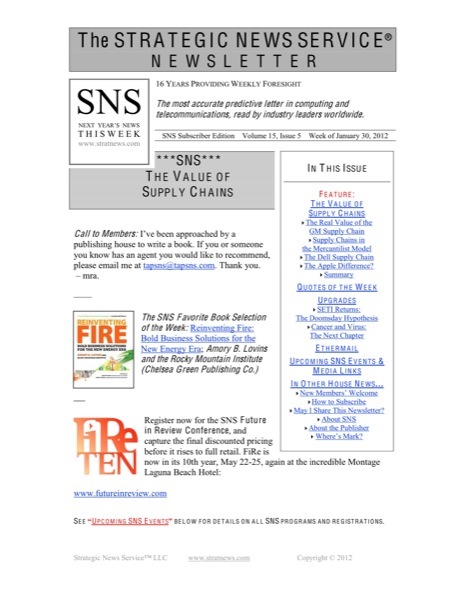 MALT appears to be catching the interest of an increasing number of analysts, reporters, and entrepreneurs, and I hope that our members are able to convert it into a reasonable part of their 2014 revenue streams. 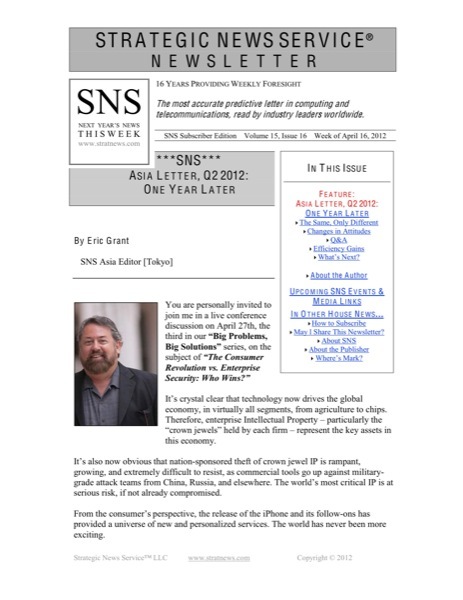 – Mark Anderson, Publisher and CEO, Strategic News Service.